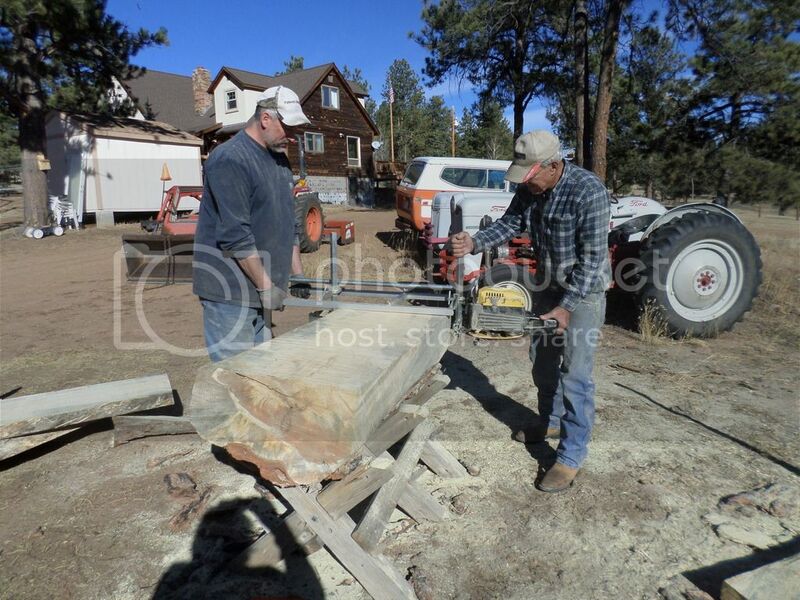 Ed, I have a small Logosol that we have used on some Ponderosa Pine. What model is that big old Mac you are using? I need something larger than my little 60cc MS310 next time! They are good for a few rough cuts. 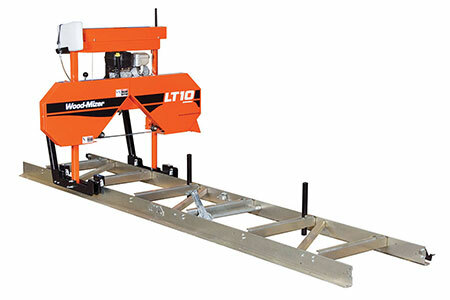 If you want to cut more accurately and with much less waste, get or rent a band saw mill. Like a wood mizer. That would be nice to have one of those mills but kind of expensive,and you would also have to have a FEL to place the logs onto the mill. 35 years ago when I built my house I didn't have one.I didn't have much cents or much much sense either,all I had was my chainsaw and a good back.I cut trees off my place and with the chainsaw sawed the beams. I wouldn't recommend trying to saw enough boards to build a house though.You can saw fun stuff that you can't with a band saw. You do some very nice work Ed. 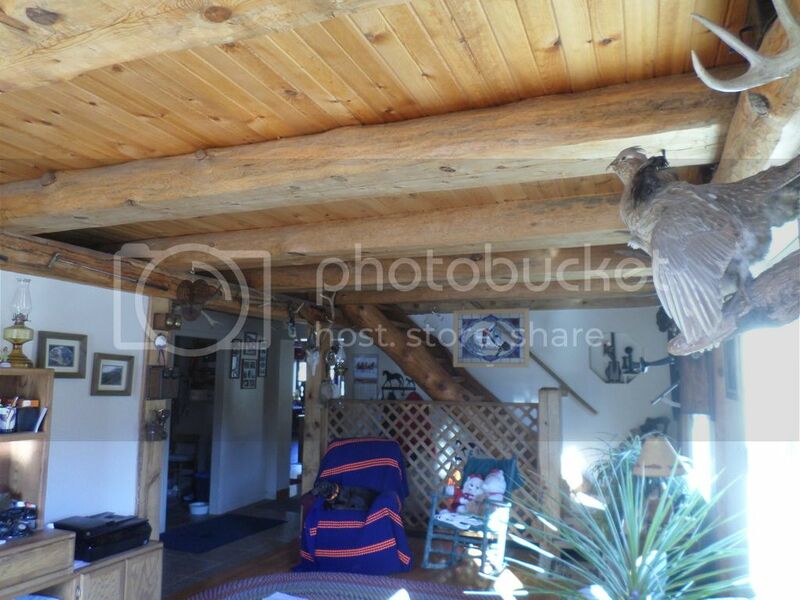 Looks like the ceiling boards are pine, but I am not sure on the beams. Are they some type of spruce? Or hemlock? The ceiling boards are store bought,the beams and the stair stringers are beetle killed Ponderosa pine.The stair treads are Douglas fir.All the trees were standing dead. That looks awesome, Ed. 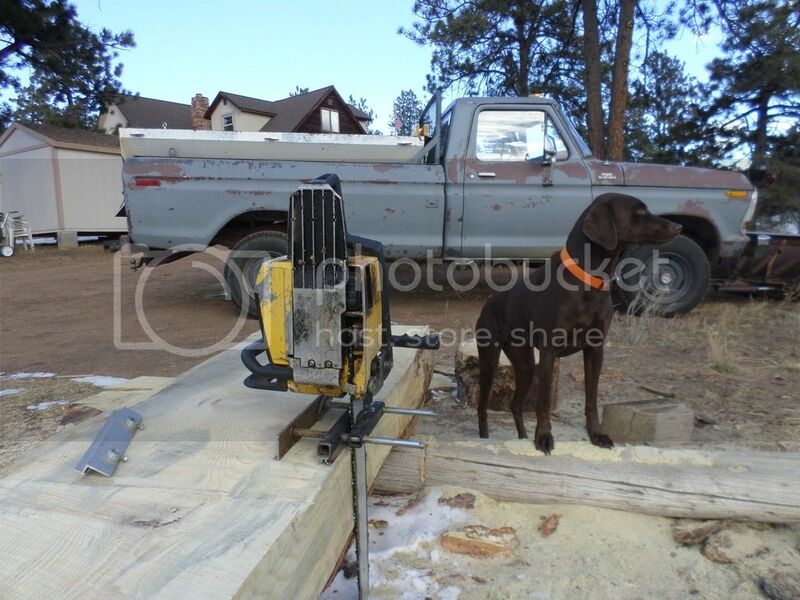 Do you ever watch Barnwood Builders on the DIY channel? A bunch of ole WV boys who take down old barns and re-purpose the wood into new log homes and more. Based on what I see of your work, I think you'd like the show. Yes Ed we watch it all the time love the show and love the scenery.It's beautiful back there in Virginia. I started this post one morning while I was trying to learn how to post multiple photos.It took me all morning to figure out you have to paste between the"" "".But once I did I couldn't believe how easy it was.Coarse I'm probably a little slower than most on the computer. Wow that is some nice stuff! 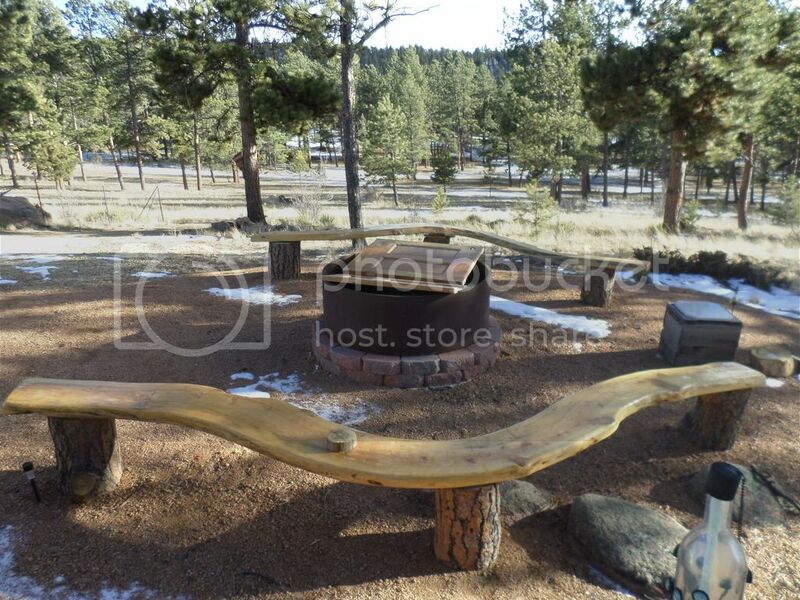 What did you use as a finish on the outdoor benches? I've been practicing posting pictures. Looks like it's just me and you over here. Do you have one of those band saws,or have you used one? Ed, my brother is in the timber business and he had a woodmizer for a while. It cost $3500 at the time and he cut oak, poplar, and walnut. I helped cut a bunch of walnut boards one day, and that wood-mizer was really slick. You could cut boards from 1 inch thick to 12 inches square and it walked through it with ease. 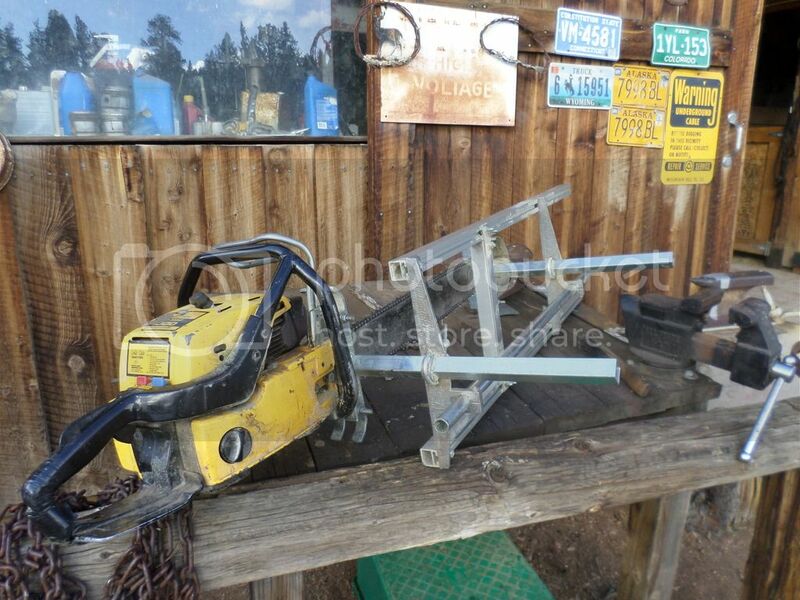 Re: chainsaw mill Wood-Mizer on sale!! Sorry, no experience. I have watched u tube videos of chain saw ripping. 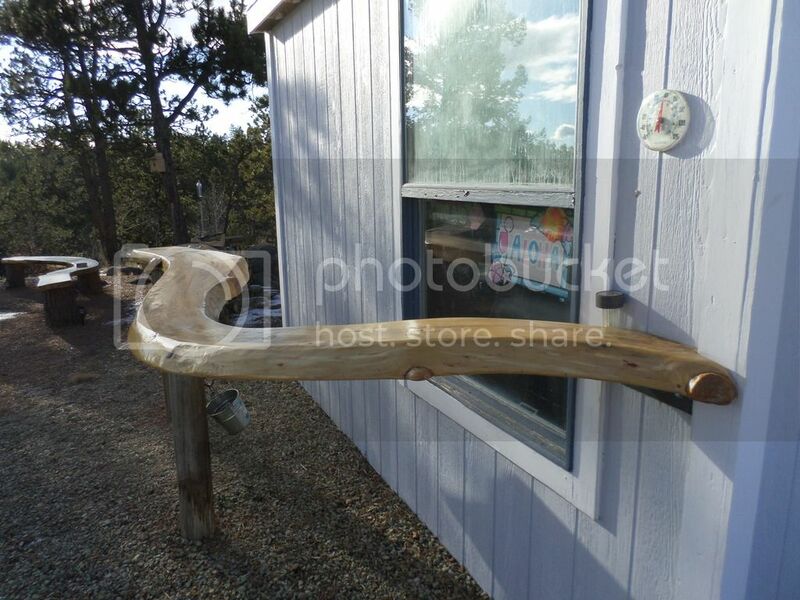 A different angle on the cutters than cross cutting for firewood. Looks like a good way to cut your own boards.